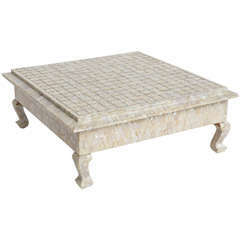 Dieser Canaan Marble and Brass Accent Table ist nicht mehr verfügbar. Minimal, Monumental, Majestic. Built from elemental forms—two cones sandwiching a sphere in solid marble and brass—our Canaan Accent Table is the ultimate tiny table. Treat yourself to a classic. Perfectly proportioned for sprinkling throughout your home: next to your bath tub, beside a lounge chair, or between two slipper chairs. 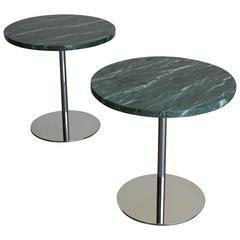 Specs: 12 inches diameter, 18 inches height Black Marquina marble with brass finish Clean any spills immediately and use coasters to protect the tabletop. 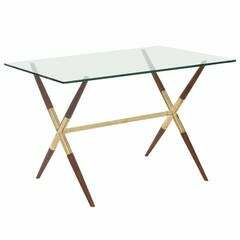 A pair of 1970s satin brass and glass side tables by Pace Collection. New 1/2”thick glass tops. Dim: 20” diameter 16.25 high. Italienischer Travertin und Messing mit Beistelltisch aus Glas von Artedi. Original dicke abgeschrägte Glasplatte.